Q: What does it do for you to be the one to help them? A: It helps me feel like I'm contributing to the world. Q: Why does that matter to you? A: Helping others gives meaning to my life. Q: Why do you want your life to have meaning? A: It makes me feel happier. Goal: I want to drink more water. A: So that I will feel better. A: So I'll have more energy. A: So that I can spend more time with my family and friends. A: So that I can enjoy life. A: So that I can be happy. Just about everything we do comes from a desire to be happy. Test it out and you'll see what I mean. One simple way we can be happier is by choosing to eat a big, plantiful salad every day. Really? Yep, it’s true! This one small thing can make a big difference. How does salad make us happier? Fresh, vibrant, veggies in beautiful colors and a variety of flavors supports health, which makes us feel better, and as you saw above, feeling better leads to being happier. Lack of Willpower - after a long day of effort, being "good" by resisting tempting "foods" that don't support their bodies, and feeling spent, they want to reward themselves and by then, it's just too hard to choose something healthy. Exhaustion - feeling too tired to go to all the work of spending an hour (or more) in the kitchen dicing, slicing, and shredding a bunch of vegetables for a healthy meal. Sound familiar? Me too! All of it! Since what we eat is directly related to how we feel, I knew I had to find a way to break the cycle of eating processed “food,” feeling like crap, and having no energy. 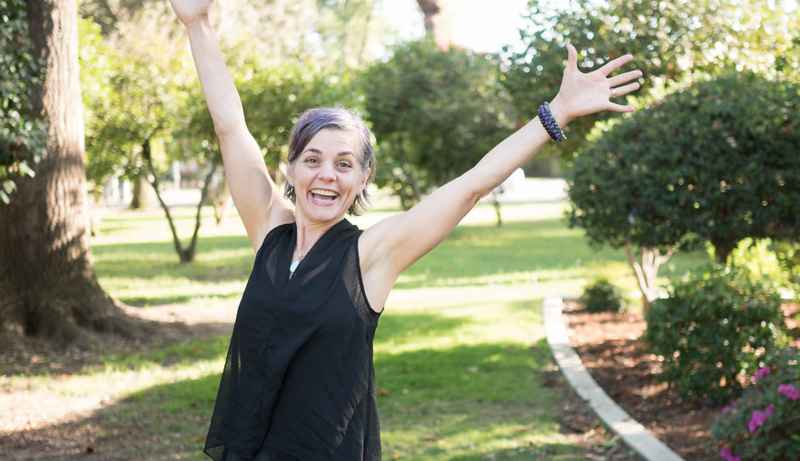 I had to figure out a sustainable way to get the health-supporting foods I knew my and my family's bodies needed without making my already full schedule catapult me into overwhelm. I needed to make the healthy choice is the easy choice. So I wondered...What if I started with something simple like having a big salad for one of our meals every day? But how could I make daily salads quickly and easily? That's when it hit me. I could make a DIY Salad Bar right in my home kitchen! I’m able to prep a week’s worth of the veggies in 30-60 minutes to make daily salads in under 3 minutes. I was so excited that we could eat well and save time. When I told friends and clients about my DIY Salad Bar, everyone wanted to learn how to do it too. After sharing this with so many people, I decided to create an ebook to answer detailed questions, show exactly how I do it, including which veggies work best; which ones to slice, which to shred, and which to cut; how to store everything; my favorite tools to use; and more. To make it even more helpful, I’ve got a bonus video. If a picture is worth a thousand words, a video is worth a million! I believe that we all deserve good health AND the time and space to enjoy life. That's exactly why I created the DIY Salad Bar ebook. I hope it helps you and your family as much as it's helped mine. You can get your ebook + video kit here. And I hope you'll share that link with others so they can benefit from eating better with minimal time too. P.S. So, are you ready to save time and eat healthier? 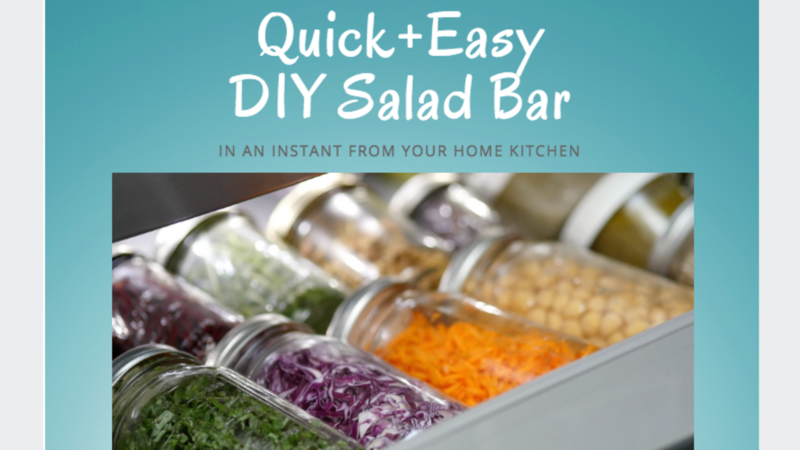 Learn how to make your DIY Salad Bar!